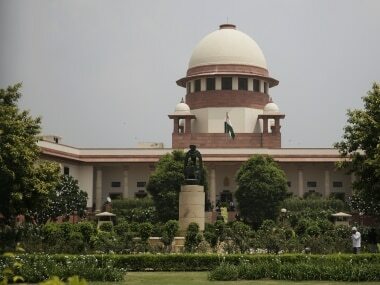 Senior lawyer and Supreme Court Bar Association (SCBA) president Vikas Singh has alleged that activists under the banner of Campaign for Judicial Accountability and Reforms (CJAR) were trying to "scandalise" the judiciary by levelling false charges against Chief Justice of India Dipak Misra in connection with a medical college bribery case. He has said the complainants need to be charged with criminal contempt. He also said that conversations between middlemen cannot attribute any wrongdoing on part of the judges hearing the matter. 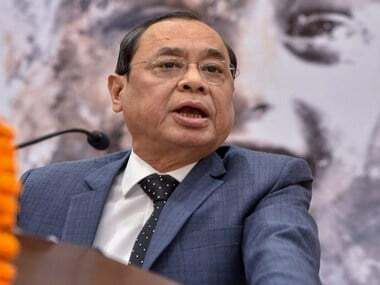 In a letter to Justice J Chelameswar, Justice Ranjan Gogoi, Justice MB Lokur, Justice Kurian Joseph and Justice AK Sikri, the senior advocate, in his personal capacity, condemned CJAR's conduct. It came two days after the CJAR had filed a complaint against them accusing the CJI of misconduct in a case related to the Prasad Education Trust. Singh, who had represented the Medical Council of India (MCI) in these cases, said in his letter that he was "quite confident" that there was no wrongdoing by the apex court while dealing with them. CJAR convenor and senior advocate Prashant Bhushan had held a press conference on Tuesday, in which he had informed that the body has handed over a complaint against the CJI to the five senior-most Supreme Court judges — Chelameswar, Gogoi, Lokur, Joseph and Sikri. 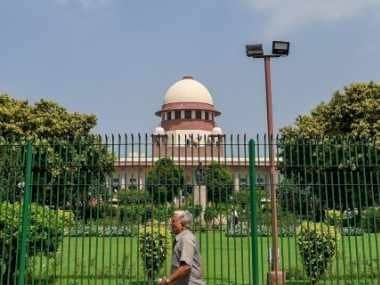 Meanwhile, Jasti Chelameswar, the second senior most Supreme Court judge, has said attempts are underway to resolve the disputes, but admitted there are "larger problems that need to be addressed". Speaking to The Economic Times, Chelameswar said, "Attempts are underway to resolve the issues. There are larger problems. We want them to be addressed," he said. "It has to be resolved soon. We are not concerned with individual cases," he said. However, high-level sources from the Supreme Court were quoted as saying that not much headway has been made on resolving the issues that were raised. "The Chief Justice of India has reached out to his brother judges on a goodwill-building exercise. However, the issue is far from being resolved. There have been preliminary talks on the issues raised at the press conference, but not much headway has been made in it. There are many larger issues which have to be sorted out," a source told The Economic Times. 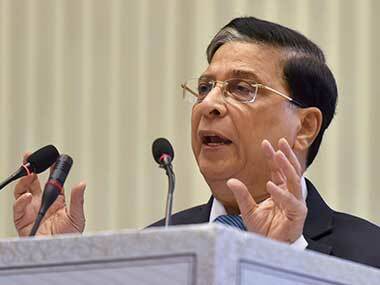 One of the key points of dispute between the four senior "rebel" judges and CJI Dipak Misra, with the quartet accusing the chief justice of selectively assigning cases to benches of preference, the Medical Council of India bribery scam, as reported by Scroll, was unearthed by the CBI in September last year. The bureau had alleged a conspiracy to obtain judicial orders from various high courts and the Supreme Court in favour of the Lucknow-based organisation, the Prasad Education Trust. The MCI, earlier, had denied permission to a medical college which belonged to the trust to operate the college. A middleman had then assured the trust that permissions will be granted through the judiciary, and money was also paid by interested parties to facilitate this. The CBI said Rs two crore was recovered during the raids. This also led to the arrest of former Odisha High Court judge IM Quddusi and four others. Quddusi was later released on bail. The transcripts, originally recorded by the CBI, are of conversations that took place between Quddusi, BP Yadav of the Prasad Education Trust and alleged middleman Vishwanath Agarwala. As reported by The Times of India, these transcripts resulted in an PIL being filed in the Supreme Court which was mentioned before a bench led by Justice Chelameswar, with the latter referring it to a five-judge bench. However, Misra, who has the final say in deciding which case goes to which bench, assigned the case to a bench led by Justice AK Sikri. An identical petition was again filed in the apex court, and Justice Chelameswar again earmarked it for a five-judge bench. However, the order was rescinded by a Constitution Bench headed by Misra, who asserted his prerogative as the 'Master of the Roster', The Times of India report mentioned. It said that the four rebel judges have cited this as an example of Misra using his powers "selectively" to assign cases to "benches of preference". In his letter, however, Vikas Singh said there were 10 matters of medical colleges listed before the court presided by CJI on 18 September, the date in question, and similar orders were passed in five of these. "Orders in nine matters are available on the Supreme Court website," the letter further added.